Ever thought that your Spanish speaking miraculously becomes more fluent when you’ve had a couple of glasses of wine? 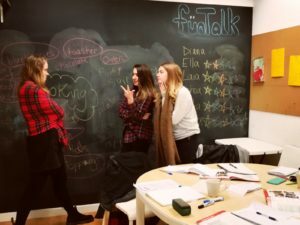 Find out more about Funtalk Spanish Conversation classes. We thought wine with Spanish was a great idea, remembering when we had first come to Spain and started to learn Spanish but had really struggled with communication, but then on a night out, and with a few drinks, all of a sudden debating, arguing and rolling our rrrrrrrrs like the natives! We felt it was a combination of the wine and the relaxed environment that would just make you less self-conscious about speaking the language. We wanted to get our students into the same frame of mind in the FunTalk classroom for our Spanish conversation class. Wine is a good place to start, we associate it with relaxation and even the simple act of uncorking the bottle immediately gets both the teacher and students into a more relaxed frame of mind for learning. What a contrast to starting a class with “Get out your textbooks”! Drinking it helps too! There is actually research which shows that a small amount of alcohol can help you to speak a foreign language better. Even though I had experienced this first hand, I was quite surprised to see research backing it up. Check out the article here: Alcohol can help you speak a foreign language more fluently. For the morning Spanish conversation classes though, we felt that serving up glasses of rioja might be a bit much! 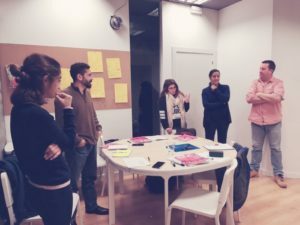 Instead we thought that conversation with a coffee would bring some of that relaxed, informal atmosphere that facilitates conversation to the classroom. Coffee and conversation – it just goes together. And after all we don’t need alcohol to have a good time, right? 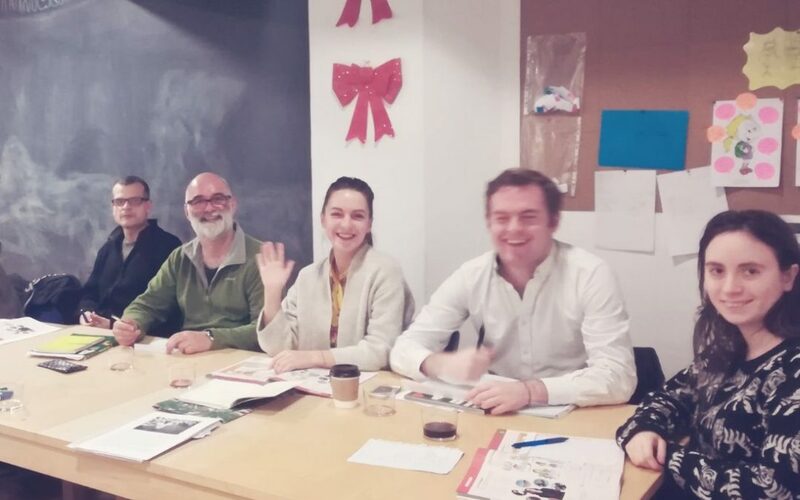 Book your Spanish with wine or Spanish with coffee class.